San Blas Panama Yandup Island Lodge is a family owned lodge with seafront and overwater cabins in a small private island near the Playon Chico community in Kuna Yala. The island is surrounded by coral reefs and a small beach with white sand and crystal clear water. The lodge offers tours to the rainforest, river, mangroves, waterfall, Ukupseni (Playon Chico) community, cemetery and to other uninhabited islands with palm trees and white sand beach. Tours and meals are included in the package. It has six cabins over the water and four seafront cabins equiped with private bathrooms, double and single beds with orthopedic mattresses and mosquito nets, ceiling fans, 24 hour electricity powered by solar panels, hammocks and a 360° balcony with an incredible view. The island also features a dining room over the water, with fresh local seafood, fish, vegetables and fruits, with a 180° view to the sea, uninhabited islands, mangroves, mainland and the Playon Chico communiry. We have Kuna boats for traditional fishing and traditional sailing. You can lay in a hammock, relax and enjoy the stunning view. Go to the beach, swim and do some snorkeling. Experience rowing or sailing in a Kuna indian canoe or do traditional fishing. You can go hiking in the rainforest until you reach the small waterfall or visit the Kuna cemetery and learn about rituals and traditions. 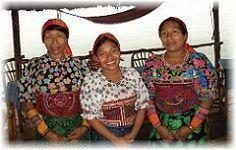 Meet a Kuna community and buy some handicrafts and molas directly from the Kuna women. Visit the mangroves, go to the river and enjoy the flora and fauna of the area. Subject to wheather, physical conditions, program and preferences. Not included: tradional fishing(if requested private trip), other communities, trips not scheduled. Included on fixed schedule: Isla Arridup, Isla Diadup, Isla Dupir, Cascada Saibar Maid (on request with a day of anticipation), Diwar Dummad River, Tropical Forest, Mangroves, Visit to Community of Ukupseni (Playón Chico) and Tradicional Cementery. We will take you to uninhabited islands nearby where you can spend the morning snorkeling, swimming, exploring or simply relaxing . These beaches, like the one at Yandup, are from coral origin, white sand and crystal clear water. You can learn more about everyday life in the community and the architecture of the houses, constructed with local materials. But you can also go for a walk to see the congress house (Onmaket Nega) where the community members hold their daily meetings and sing traditional and religious songs. And you can see the Chicha house (Inna Nega) where the traditional rites are performed to celebrate the "chicha fuerte" in different ceremonies. A sale of handicraft is established in the community for the benefit of the locals. You can acquire such famous handicraft articles as the "molas" and other objects such as wicker baskets and figures made of mahogany, "balso", "espave", "amarillo" and other materials. Enjoy a pleasant promenade by the mangroves, on the islands or the coasts, known by the Kunas as home of the sardines. You can distinguish the red, black and white mangrove. The eco-system of the mangroves serves as a spawning area for many aquatic animals, as the larvae and other small species are reproduced here and protected by the roots. These forests are the habitat for a immense variety of fishes of alimentary value, crayfish and "guabinas" (fish from the river), and other wild animals such as the heron and the pelican. It also serves as a resting area for many migratory birds. The major part of the area is covered by primary forests with an immense diversity of flora and fauna. Diiwar Dummad or Diiwarak river, near Playon Chico can be a fauna visual show: birds, caymans, amphibian, etc. Depending on the weather we will visit the river at the afternoon when most animals return to their homes and a perfect environment is created for observation. The marine birds can be observed from the island of Yandup, but for a greater diversity the visitor can get up in the early morning and observe the birds at daybreak from a boat in the river. "Tangaras", hummingbirds, gulls, woodpeckers, parrots, macaws, toucans, and pelicans are some of the species of birds that you can encounter. WHO CAN GO ? Any person in good health older than 3 years. Minors must travel with a responsible adult.